These musts will save you headache and hassle! Call Before You Dig: Several days before planting, call Miss Dig at 1-800-482-7171 to have underground utilities located. 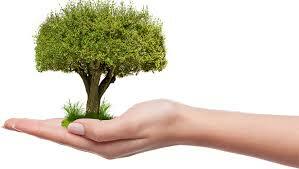 Handle with Care: Always lift trees by the root ball. Keep roots moist until planting. Digging a Proper Hole: Dig 2 – 6 inches wider than the diameter of the root ball with sloping sides to allow for proper root growth. Planting Depth: the trunk flare should sit slightly above ground level and the top-most roots should be buried 2 – 4 inches. Filling the Hole: Backfill with native soil unless it’s all clay. Tamp in soil gently to fill large air specs. Mulch: Allow 1 – 2 inches for clearance between the trunk and the mulch. Mulch should be 3 – 4 inches deep. 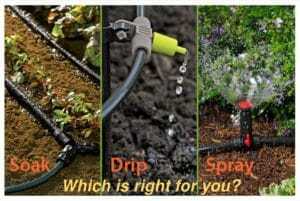 Water is your garden’s friend – or not – depending on how you manage it. And, while there are no hard or fast rules, it is a judgment call that depends on the type of plant, soil, weather, and more. Fortunately, we’ve boiled it down (get it? water? boil? ), and it’s easy to figure out what to do…Get to know your soil! 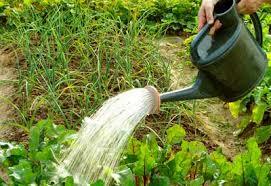 Lift each pot before and after you water: over time, you will learn the difference in feel between dry and wet soil. Become familiar with how heavy a pot should feel, if the soil inside the pot is thoroughly moistened. Water slowly so that roots at the core of the plant receive hydration. Watering too quickly can create run-off, which means the water runs over the outer root ball without penetrating the core. 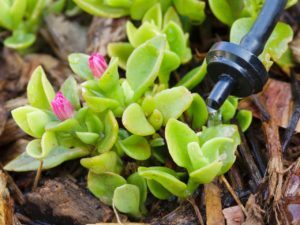 You can’t use the “lift test” in your garden or landscape, but you can use a soil moisture sensor to see if it’s time to water. For a more thorough investigation, push a spade into the soil near your plant and pull it back to see how the soil looks. If it feels moist to a depth of 6 to 12 inches, you’re in good shape. If it’s bone dry, water! Focus on the root zone, not the leaves. Excessive foliage watering can even create or spread disease. Do it only when needed. Automatic sprinklers are especially useful; just make sure to watch the weather, and reduce frequency when rainfall is abundant. Too much water can be just as damaging to plants as too little. Be deep and thorough. 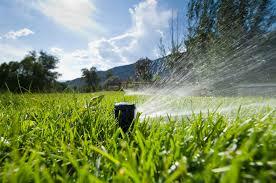 Lawns and annuals concentrate their roots in the top 6″ of soil; for perennials, shrubs and trees, it’s the top 12″. In heavy soil, it may take hours for water to percolate down 6-12″. Use your finger or a shovel to check the progress. Mornings are a great time! If you do get moisture on the leaves, this gives them time to dry out. It’s much more difficult for plant diseases to get a foothold when the foliage is dry. Mulch everything. Mulch reduces surface runoff and slows evaporation from the soil. Use the right tool. 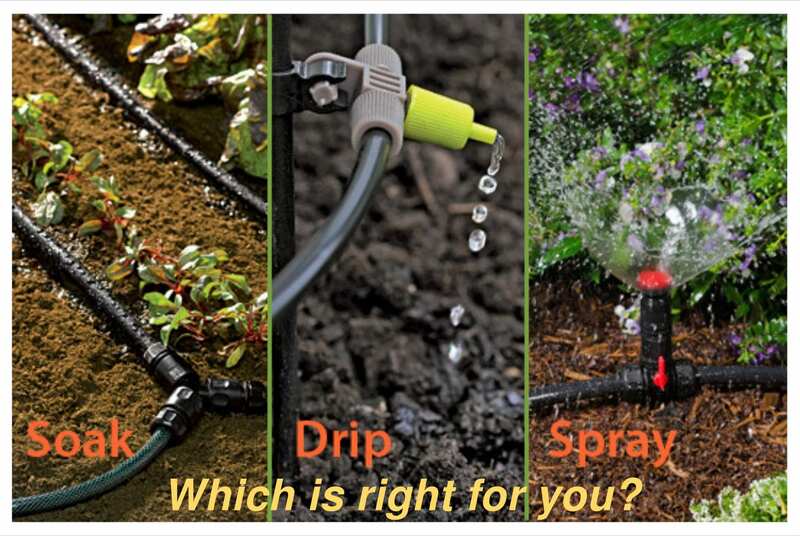 For efficient hydration at the root zone, you can use a soaker-hose or an even more precise drip irrigation system instead of a sprinkler. We are Hiring for Spring!! !